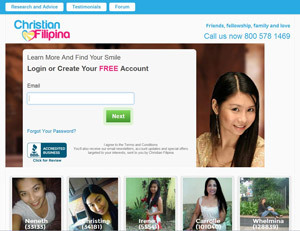 A true force for change and integrity in online dating, ChristianFilipina.com debuted its site in 2009. Members come from more than 30 countries and know that when they have found Christian Filipina, they have finally arrived at a site they can trust. Here in the Christian-Filipina.com Press Room, we have prepared a few simple pages to allow members of the press to quickly become familiar with the impact and integrity of the ChristianFilipina.Com Brand.